We all want holidays but if you have a pet, you have to consider more things such as how are you going to transport your pet in case you want to bring it with you. It’s a big responsibility, therefore, we will give you some tips and pieces of advice on travelling with your pet by car, plane and train. It’s basically as taking care of a child, thus make sure you take the best precautions to avoid any struggles that your pet might feel during the travel. If you feel a bit overwhelmed now, think about of playing with your pet on the beach, if you are going to a beach destination, or going for a stroll in nature. Probably this seems as the best and stress-free option. Your pet shouldn’t travel on the front seat and the best place for it is in a travel carrier with a fasten seat belt. It shouldn’t roam in the car because it’s dangerous for the pet but it can also distract the driver. It’s pointless to mention that pets aren’t allowed to travel with their heads sticking out of the window as this may lead to serious injuries or made them sick by having cold air forced into their lungs. One important thing that many people don’t think of is that your pet needs pit stops. Depends on the travel distance but you as a pet owner should always allow your pet a fresh air and the possibility to exercise for a bit. However, never allow your pet to leave the car without leash, collar and an ID tag. In the same context, never ever leave your pet alone in the car! There’s a serious temperature hazard. If outside is too hot or too cold, the temperature in the car can heat up or cool down quicker than you might think. Don’t mess around with this, because at the end your pet might suffer from irreversible organ damage or even death. 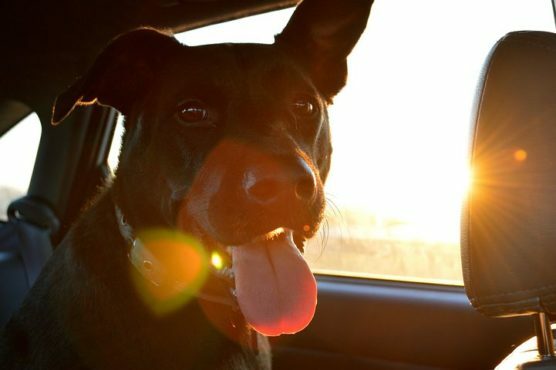 Moreover, something a few of you have to bear in mind, is that leaving your pet alone in the car, jeopardizes it from a car and animal thieves by attracting their attention. Finally, if you can bring a human travel buddy along with you to look after your pet from time to time, do it! In that sense, you can make stops for food or for using some facilities, knowing that someone you trust is keeping an eye on your dearest pet. 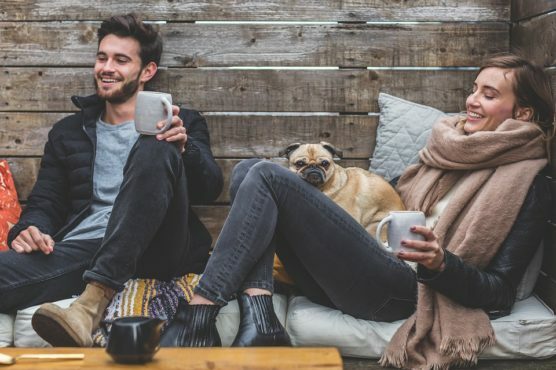 Bringing your pet on holidays is awesome and we totally understand that you can’t leave them behind or in the hands of someone else who you don’t trust. The pros of travelling by train, is that you will be free from driving and can both enjoy the journey. It’s also a great alternative because it’s cheaper and safer than flying by plane. Another advantage is that most of the railway companies don’t require a proof of vaccinations or any other related paperwork. Most railway companies allow pets to travel with their owner. However, it depends on the distance. For example, for short distances, RENFE allows pets to travel gratis. On the other hand, longer distances require your pet to have a proper ticket. In addition, in order to be able to take your pet on the train with you, it must not weigh more than 10kg. The National Railway UK company also admits animals free of charge. If you want to book sleepers you should do it 48 hours in advance before the departure. A rule for every railway company is that animals should be kept on a lead, if not, inside a travel carrier that can fit on your lap or underneath your seat. In general, in many European countries is now more and more common to bring your pet on a train, thus we are sure, you will have nice and safe journeys. However, keep in mind that your pet should behave well in public and that the train company remains the right to refuse any animal if it causes any inconvenience to the rest of passengers. Each airline has different regulations regarding traveling with a pet. The best case scenario will be to call the air company before booking your tickets and inform yourself about their requirements. Moreover, it will be best if you notify them well in advance that you will be accompanied on your flight. Usually, air companies admit pets in the cabin with you if they don’t overweight 8kg. However, in most cases, they must be held in a travel carrier below your seat. In any other occasion, bigger pets are normally transported in the cargo hold of the plane. On the other hand, some low-cost companies don’t admit pets in the cabin. If you are an owner of Pekingese dogs, bulldogs or Persian cats or any other brachycephalic animals it’s very risky to transport them by air and even some airlines such as Iberia and AirEurope banned travelling with these animals because they are highly jeopardized from death. Those animals that have a ‘’pushed’’ looking leave them especially vulnerable to oxygen deprivation and heat stroke due to their short nasal passages. Furthermore, don’t forget that your pet might not feel as excited as you are about the travel. This will bring them additional stress so it’s recommended to leave them to a pet sitter. 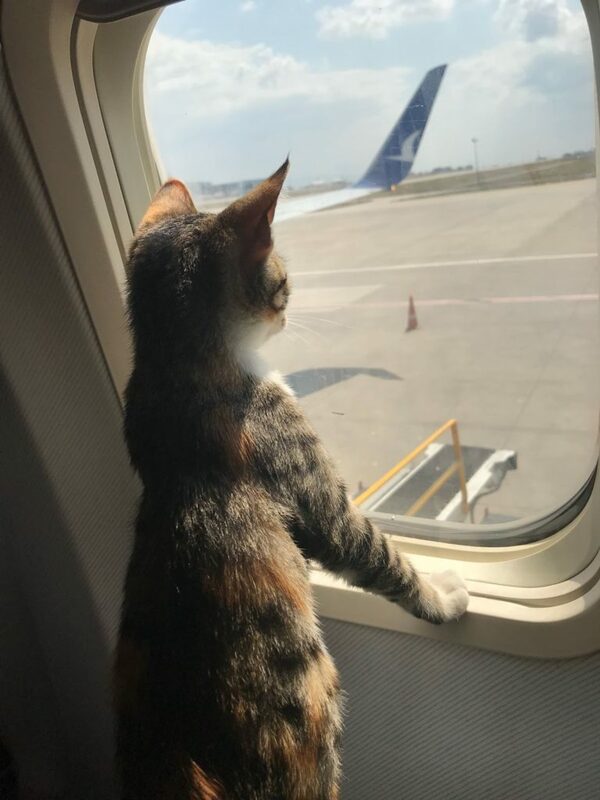 However, we understand that sometimes it’s inevitable and you must take your pet on a flight, therefore it will be best if you follow the next bits of advice we will give you in order to ensure a pleasant travel to your pet and for your own peace. ➡ Use direct flights – You will avoid the mistakes that occur during airline transfers and possible delays in getting your pet off the plane. ➡ Notify the captain that you are traveling with your pet, it doesn’t matter if it’s with you in the cabin or it’s in the cargo hold. ➡ If traveling during summer or winter, bear in mind the temperatures. Early morning or late evening flights are better in the summer, afternoon flights are better in the winter. ➡ Fit your pet with a collar that can’t get caught in carrier doors. Label the collar with your phone number and address on it. ➡ Make sure your pet’s nails have been clipped to protect them getting them hooked in the carrier’s doors. ➡ Do not give your pet any tranquilizers unless they are prescribed by a vet. 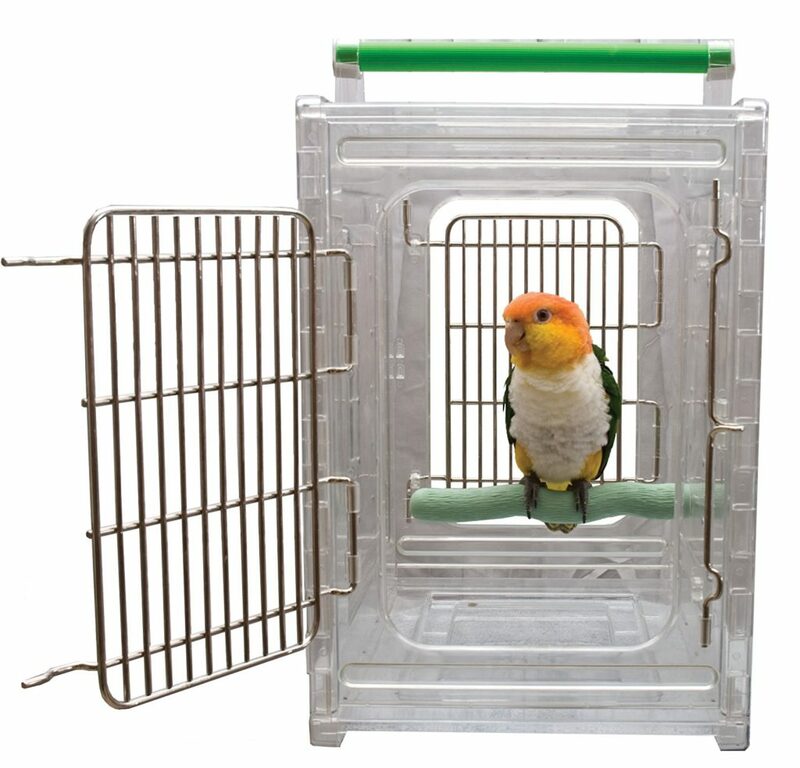 ➡ Give your pet a time to get used to the travel carrier, this will limit the level of stress level. ➡ Don’t feed your pet from 4 to 6 hours before the flight however water is even recommended. ➡ If you can avoid busy times such as holidays or summer it will be better for your pet and for you as well. ➡ Have a current photo of your pet – if your pet gets lost during the trip this will make it much easier for the airline employees to search effectively for your pet. ➡ Finally, when you arrive at a certain destination and it’s safe to open the travel carrier, do it immediately and examine your pet. In case, anything seems wrong take your pet to a vet. Don’t hesitate to speak up if something seems wrong. Call the airline and let them know if an incident has occurred. In addition, don’t forget that your pet must undergo a health examine, holds health certificates with all the required vaccinations and of course, if it’s allowed to travel by plane, you need to pay an additional fee. The amount of money depends on the airline and how much in advance you notify them about your travel. These were our recommendations and tips on travelling with your pet. It can be a fun experience and nowadays more and more people dare to bring along a pet on their travels. On the other hand, don’t underestimate it and take appropriate actions in order to avoid any possible hazards. If you are interested in this, you might also be interested in the 5 best airlines to travel with a child and the top pet-friendly restaurants in Madrid. Take me to an adventure Book Now!